A long time ago, you could only pay for things with cash. Then the concept of credit appeared in the 1920s, but you could only use credit at a particular store or chain that offered it. The credit card that most of us have at least one of--but likely more--in our wallet is called a "universal credit card," meaning that any store that wants to accept it can do so. Diners' Club was the first universal credit card, launched in 1950. The kinds of credit cards kept evolving. American Express started its travel and entertainment card in 1958. This was same year that Bank of America launched its BankAmericard in California, which eventually became VISA. BofA's card, the first bank card, which was the precursor to how many credit cards work today, allowing cardholders to pay their bill off in full or carry a balance from month to month. How you used credit cards has also changed. Those first Diners Club cards were cardboard, but plastic eventually took over. Cards used to be placed into a mechanical card reader that would run an imprint of the card number over carbon paper onto a paper receipt. Today, although we're still paying with plastic, there are even more ways to pay for goods, from digital wallets on your phone to wearable payment options. According to TSYS' annual U.S. Consumer Payment Study, its evolution continues, with more people interested in paying with artificial intelligence-powered personal assistants, digital wallets and peer-to-peer payment choices. "Our latest study confirms that consumers are ready for change and adapting to the ever-evolving payments industry as new solutions are introduced. Because of this, retailers and payments providers can continue reimagining the digital purchase experience for consumers," said Allen Pettis, executive vice president and chief customer officer, Issuer Solutions at TSYS, in a statement. In TSYS' survey, it talked to 1,200 Qualtrics consumer panel members ages 18 and older who had at least one credit and debit card, and found three interesting trends emerging about how we'll be paying for things in the future. The first is use of intelligent personal assistants, like Google Home, Amazon's Alexa-powered devices and Microsoft's Cortana. Only 26 percent of those surveyed own one of these devices, but almost half of them use it for shopping. Financial institutions are starting to offer some basic services like account information or transfers, but there's a lot of potential for other services as well. The next prediction is that mobile wallet use will continue to grow. Banking apps themselves are gaining traction, growing from 46 percent usage in 2015 to 63 percent in 2017, but there's also growth in people loading a credit card onto the digit wallet function on their smartphone and using it. 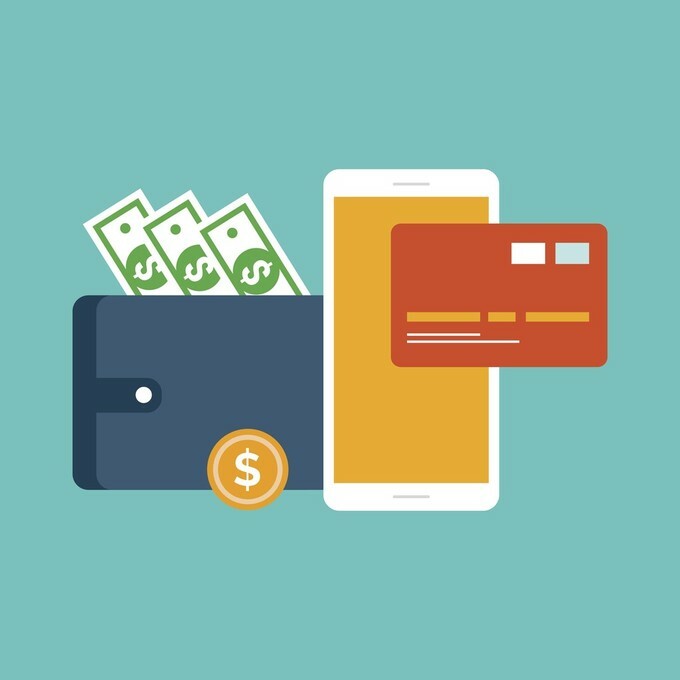 True, there aren't many people using digital wallets regularly -- the survey found that just 12 percent used a digital wallet to make an in-store purchase with their smartphone, but that's up five percentage points from 2015. Higher still is the interest in digital wallets--51 percent of respondents are interested in using that feature, up from 39 percent two years ago. Whether or not that interest changes to actual usage remains to be seen though. Finally, peer-to-peer payments (P2P) are growing as well. Services like PayPal, Venmo, Zelle and Square Cash allow people to make small payments to each other, which makes things like splitting a bar bill or paying the dog walker a lot easier. Twenty-nine percent of respondents in TSYS' survey have used P2P payments, and younger people were more apt to use them, a sign that these types of payments may make more traction in the marketplace. 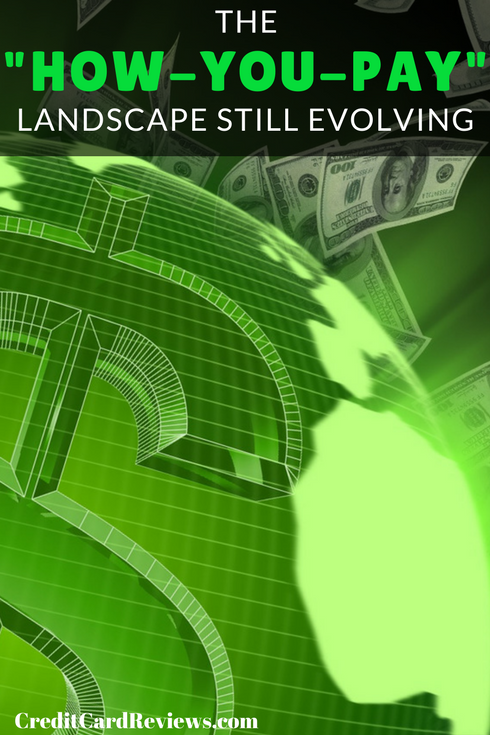 While payments keep evolving, that doesn't mean the old standbys will disappear just yet. TSYS does note that traditional payments are still quite popular, with debit cards being preferred by 44 percent, credit cards by 33 percent and cash by 12 percent.